Recently I decided to make swatches of all of my nail polishes, and I checked around to see what ideas I could play with. I had an idea in my head of what I wanted, so after checking online and a trip to my local Sally’s Beauty Supply I decided on the nail shaped plastic swatch. I’ve painted every single color on a nail tip, and since my collection is always growing, I decided not to swatch by color family. In what ways do you keep track of your nail polish collection? Oh, by the way, in the above picture im wearing Sally Hansen Nail Polish Strips in Love Letter. And some nail polish love. 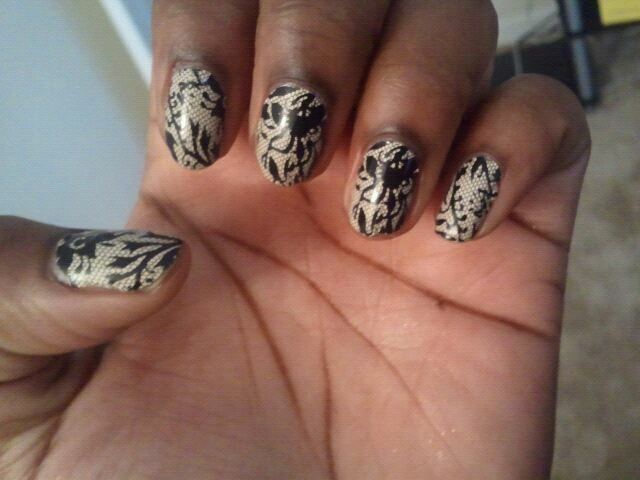 Sally Hansen Nail Polish Strips in Laced Up. Have you tried these yet? They are actually real nail polish strips, sticky on the back and they adhere to your nails pretty easily. Inside the box were two packages of nails strips, 16 in all, a nail file, a cuticle stick, and the instructions. 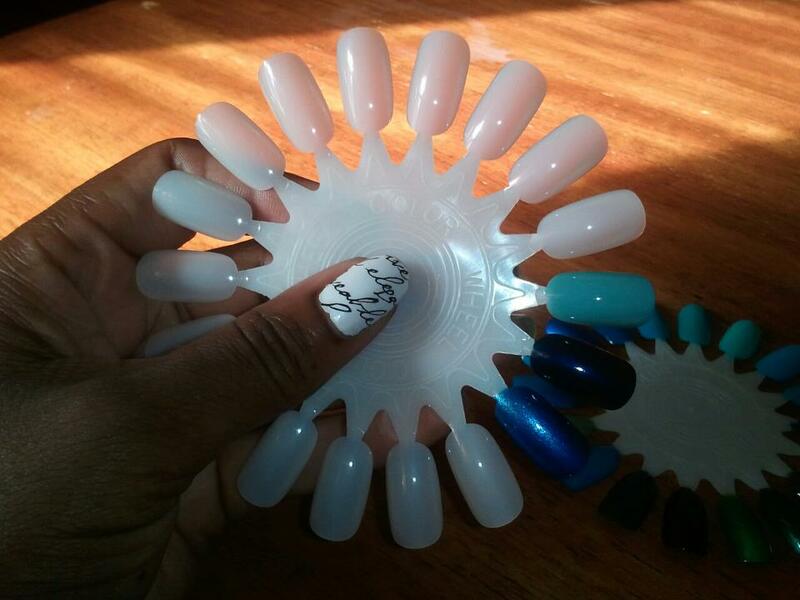 Using the cuticle stick’s slanted side, work your way around the tip of your nail, filing off excess nail strip. Use the soft side of the nail file to gently file and buff the nail strip tips to the end of your nail tips. Apply topcoat of your choice. That’s it! Have fun showing off your insta-manicure!